Hi there! 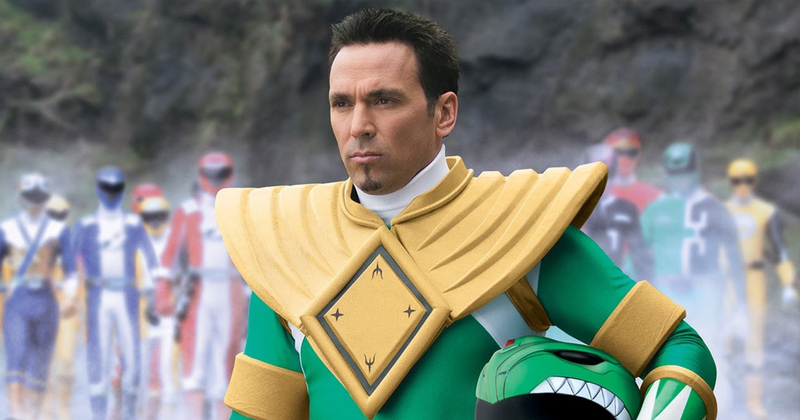 My name is Jason David Frank and you probably remember me from your childhood as the guy that played the green Power Ranger, Tommy. As my assortment of autographed headshots and memorabilia laid in front of me on this table should indicate, I’ve turned that gig into a lucrative 25-year run of being known as “that guy who played the green Power Ranger.” Since you’re the only one in line right now, let me tell you the secret to making one job last a lifetime. When I decided to leave the world of martial arts behind, I wanted a fresh start. A quick bit of research showed that grown-up acting is difficult, so I decided to audition exclusively for kid’s shows. I came close on a few. Hell, I thought the role of The Barking Detective was all but mine. But alas, I didn’t land anything. This went on for a few years until I had the audition that changed everything: Mighty Morphin’ Power Rangers. Originally I had read for the red ranger, Jason. I thought it was a lock because, hey, my name’s Jason too! However I was told there is a lot more to acting than that, like lines and reactions and stuff. I didn’t get it then and I still struggle with it now. Shortly into the show’s run, though, a new character was introduced! The green ranger! After a casting director remembered liking my hair while we hung out in his trailer, I won the role of a lifetime. It carried me through the TV show, some movies, voices in video games, appearances at conventions, asking people at Burger King to pay for my meals, and plenty of other amazing opportunities. The Power Rangers fan base has really been incredible. Whereas a lot of people see me as a failed actor that wasn’t able to land a single other relevant role, the fans rightfully know that playing “Tommy” one time is enough to constitute an entire successful career. Oh and hey, before anyone hears this and calls me a one trick pony, let me just remind you that I also played the white ranger.